Join MediSpa at Knoxville Dermatology Group on Wednesday February 1st for an Educational Seminar and Q&A with Brooke Bentley, FNP-BC. Seminars will be held in our Knoxville location at 4pm, 5pm and 6pm. 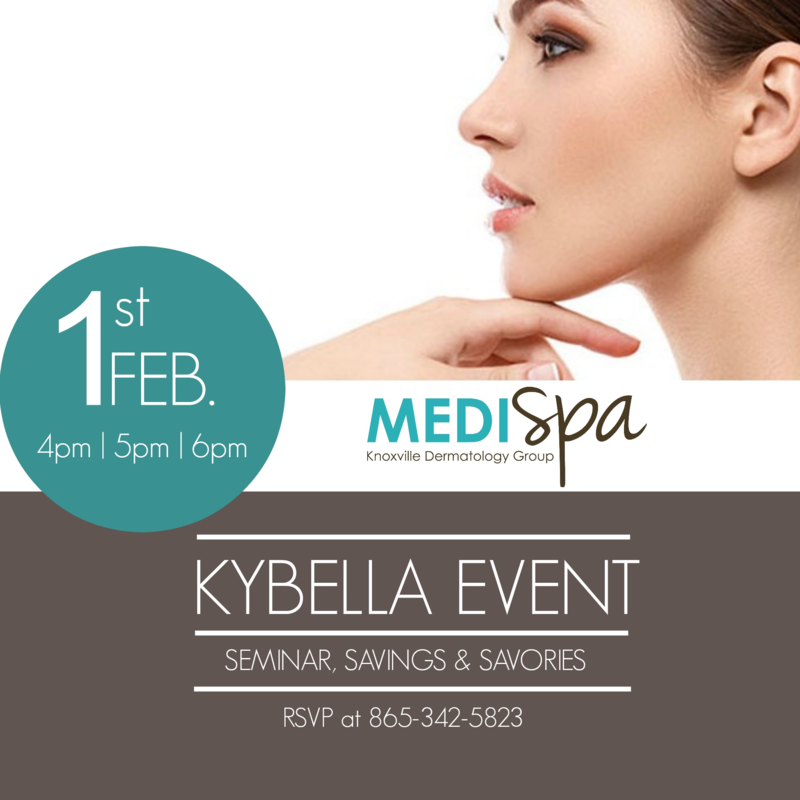 All attendees will receive special pricing on Kybella treatments. Reservations are required. Call our office today at 865-342-5823 to reserve your spot!